Before it was ever put into words, from his youngest days working under a sadistic boss on a cotton farm to his thirty-plus years spent serving eight U.S. presidents as a White House butler, Cecil Gaines understood precisely what was meant when he was advised to possess two faces – his own and the one he would show to white folks. 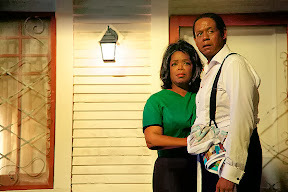 While that sentiment alone has slavery era literary roots, in director Lee Daniels’ The Butler, which was written by Emmy award-winning historical screenwriter Danny Strong, it serves as something beyond mere advice to become an actual way of life for the eponymous lead portrayed by Forest Whitaker in a role that was inspired by – (read: very loosely based upon) – fact. 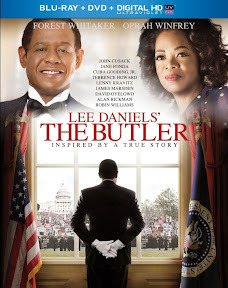 Gorgeously crafted and undeniably well-intentioned with all departments from cinematography and production design to hair and makeup firing on all cylinders, one of The Butler’s biggest problems in fact is its picture-perfect, museum-like approach to its subject matter. From its convenient plot points that hit the desired emotional beats at precisely the right time to some awkward transitions between presidential administrations, everything feels so extremely choreographed that most of what occurs onscreen ends up feeling melodramatically manipulative rather than natural. The end result is a film that holds us at arm’s length rather than one that successfully transports us into the film to fully buy into the story the filmmaker is trying to tell. And while their names and faces looks great on a poster, the Cameo Carousel approach of offering viewers a Where’s Waldo like game of “Spot the Movie Star” – wherein a new A-lister enters and exists every ten minutes as if part of a Hollywood parade – pulls us out of the plot with each new walk-on and detracts from the work as a whole. From a storytelling standpoint, this gimmick makes the episodic nature of Strong’s script that much more apparent. But more troublingly it calls far too much attention to itself as one by one we identify the movie star currently onscreen and just as frequently find ourselves disappointed by the casting choice of selecting someone for the sake of name recognition rather than addressing the question of whether or not they’re actually right for the role or look anything like the people they’re supposed to play. While the actors try their best with Liev Schreiber’s fiery Lyndon Johnson a film highlight, when most feel so grossly miscast, what it ultimately boils down to is stunt casting and it’s condescending to its audience – making the whole picture less effective all-around. And at the same time, the commanding lead turns by not only Whitaker but in a surprisingly powerful supporting role by Oprah Winfrey (that reminds us just how effective she was in Spielberg’s The Color Purple), help anchor the film and prove just how beneficial it can be to cast the right actors in the right parts. Winfrey is so good in fact that it makes us wish she’d spend more time acting and less time focusing on conquering the small screen as a media mogul. While she’s a bit shortchanged in her performance due to peculiar editing choices that force us to guess far more than we’d like about particular indiscretions or behavioral motivations of the character based on a look here or a throwaway line there, her scenes with Whitaker are the strongest in the picture. In fact, the two are so good together that it makes you wish the film was far more emotionally riveting than it actually turned out to be, not only to be worthier of the audience but to its stars as well. 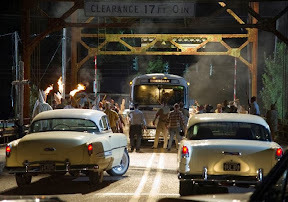 While nowhere near as naturalistic and impactful as another 2013 film that Whitaker was involved with behind the scenes while serving as the producer on another biographical effort Fruitvale Station, (which incidentally shares today's release date with The Butler), the stunning production values and stellar turns at the heart of the film make it worthy of at least one spin. 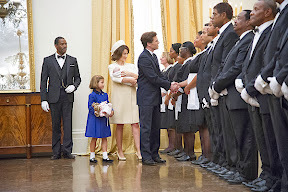 And while every fiber of my being wanted to like the picture and indeed, Lee Daniels’ The Butler appears to be as eager to please as Gaines was in his White House role, nearly stamping “For Your Awards Consideration” onto each gorgeously composed frame of this Forrest Gump-like ode to old-fashioned storytelling, it just doesn’t live up to its enormous ambition or potential. Instead of merely presenting both of Gaines’s faces to the audience, this Butler tries to be all things to all people. From the gross manipulation of the facts that were either heightened or completely changed for maximum soap-opera effect to not having enough faith in Gaines’s plotline so that they had to invent a fictional militant son to serve as a political counterpoint for the era, this Butler is a mess of a missed opportunity. For one of the greatest problems is that we’ve seen the alternate histories of the ‘60s done so many times before that the fictionalized Freedom Rider turned Black Panther son should’ve been left on the cutting room floor altogether. As instead of Vietnam War unrest and civil disobedience struggles we’ve faced onscreen before, the thing we’d never encountered is the story of Cecil Gaines and unfortunately, it’s his story that Daniels and Strong seemed least interested in telling (aside from a chosen anecdote here or there). And while I can only yearn for what was missed and indeed can’t critique a film I wasn’t shown, you can’t tell me that serving eight presidents didn’t generate enough valid material for a great movie. 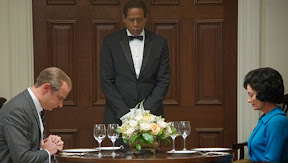 Unfortunately the one we’re left with is beautifully executed enough but far too bland for us to remember anything about The Butler we were so looking forward to getting to know. Using the same manipulative tricks he employed in Precious, Daniels knows how to play his audience like a fiddle, while also inspiring some staggeringly raw, honest performances. But unfortunately this time around he doesn’t achieve the impact we’d been braced for by all the pomp and circumstance established by the film’s first act build-up or the promise of its award season campaign. While worth a look for history buffs as well as Whitaker fans – with the caveat that it’s also a good idea to seek out the original source material to separate the small amount of fact from a massive amount of fiction – ultimately history will be the best judge of the film’s longevity long after award season passes and those easily influenced by it will be able to watch with more perspective. Of course, it could become a cult classic in future years but something tells me that producer Whitaker’s masterfully made Fruitvale Station will far surpass Lee Daniels’ The Butler not only with regard to Forest Whitaker but in terms of the cinematic year of 2013 in general, inspiring future generations to come with its celebration of life on a small scale vs. this star-studded, sprawling soap.